This was one of the most enjoyable episodes of Sarah´s Music I have filmed so far. 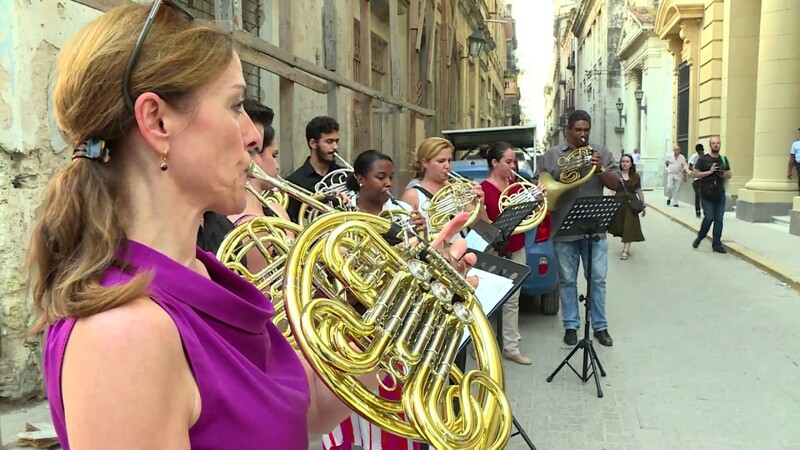 I am so proud of all our Havana episodes, but this one, which features the wonderful Havana Horns, is especially close to my heart. 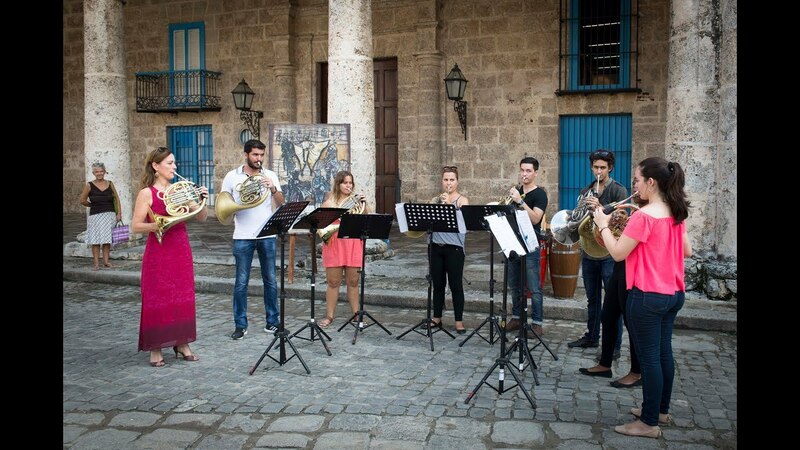 Thanks to the Cuban European Youth Academy and the Balthasar-Neumann Foundation, I went to Havana to give a masterclass to any horn players who might be interested. Not knowing what to expect, I turned up to a packed room at the Lyceum Mozartiano and it was for me and the Cuban horns love at first sight. 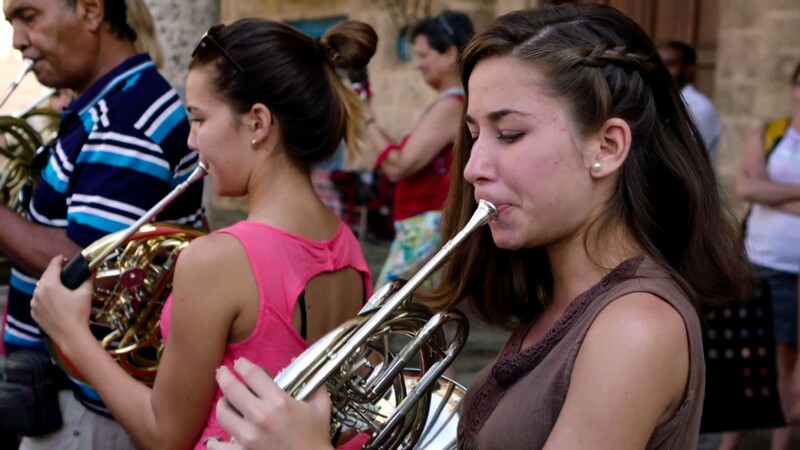 Their passion for the horn is incredible and I was determined to come back and make an episode of Sarah´s Music just about them, their lives and their music. Six months later I made it back to Havana with my fabulous production team and this episode is the result. There are so many people to thank, I hardly know where to start, but thanks Lea and Cris from the Balthasar-Neumann Foundation for bringing me over, Chris Rowe and Jochen Beckmann, my wonderful cameramen who sweated through 6 days of filming with me (because it was hot…!) 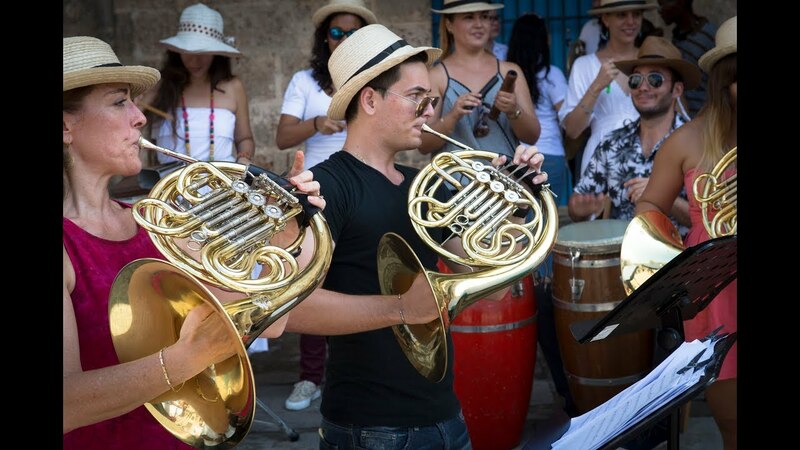 Jesper Thomsen for the Making Of photos and, of course, Susana, Carla, Arlet, Ernesto and Elio, the original Havana Horns whom I simply adore – estoy muy orgullosa de ustedes! Which way to the Cathedral? Salsa with Maestro Pepe Mendez!